Please take a look at our Reservation Calendar Page, then contact us with your reservation or questions. 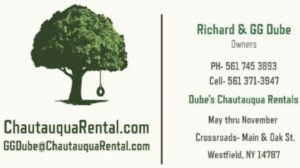 You can use the form below or the email link on any of our pages to contact us for a Rental or just ask a question about activities in Chautauqua County. We'll get back to you as soon as we can. We'd love to have you stay and look forward to hearing from you! Click within the map to be taken to Google maps for Directions.